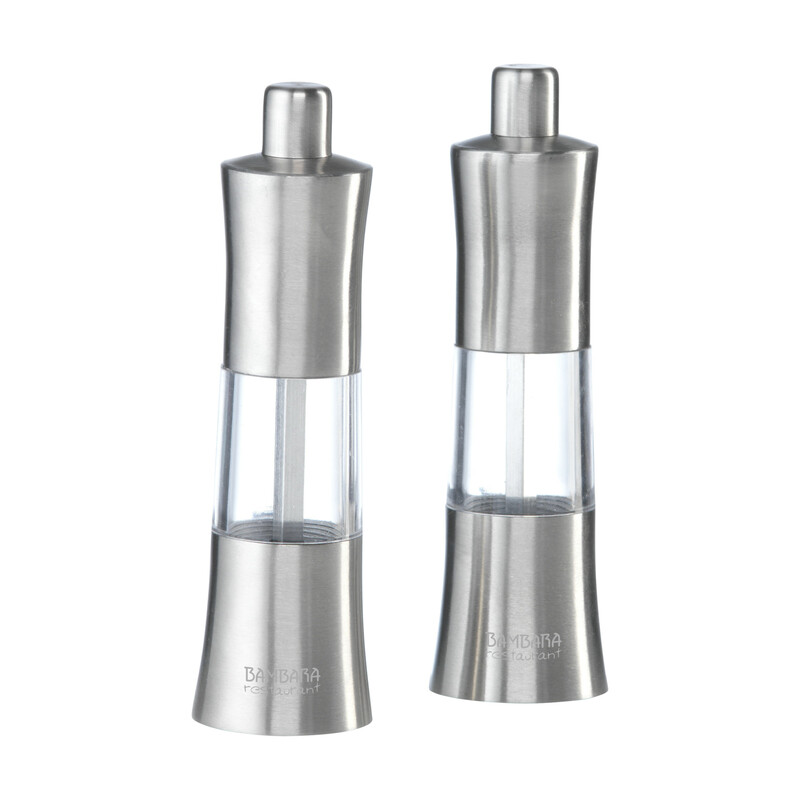 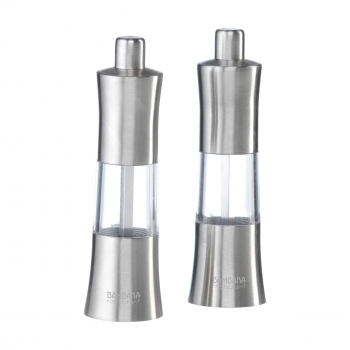 Stylish, manual salt and pepper grinder made of brushed matte metal. 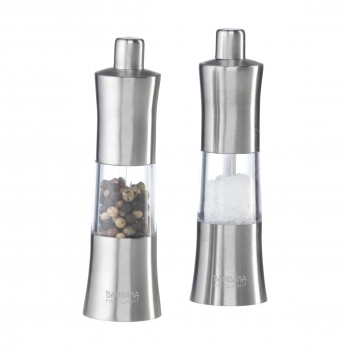 Useful with functional plastic window and ceramic grinder. Easy to fill. (without content) Dimensions: 11.7 x Ø 3.3 cm. Prices incl. 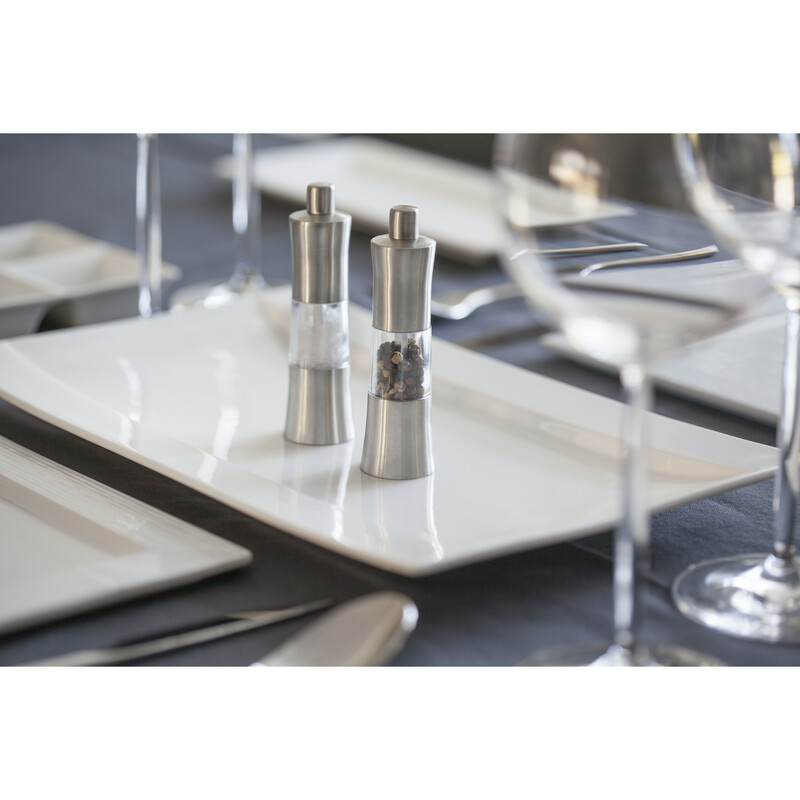 Lasergavur with your advertising!